What did that dock cost you? 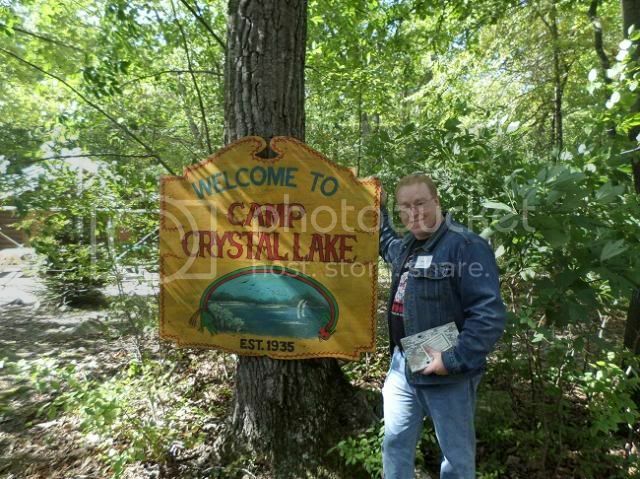 Another great thing about that camp tour last fall was they had a holy grail of F13 memorabilia - THE original Camp Crystal Lake sign from the movie. Obviously wasn't for sale, but just taking the photo op with it was a mark out moment for me. I love the board from the dock. If I visited that place, I'd have bought one as well. 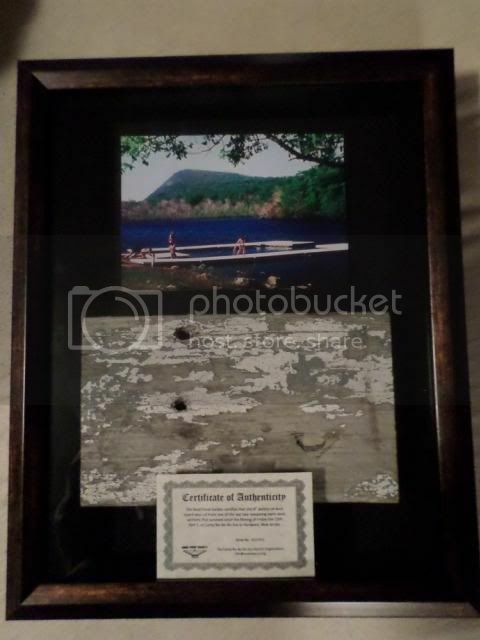 Great job on the frame. You know, that's never gonna get thrown out. You could get hit by a bus tomorrow, and when they went through your stuff, somebody would take that thing home ! 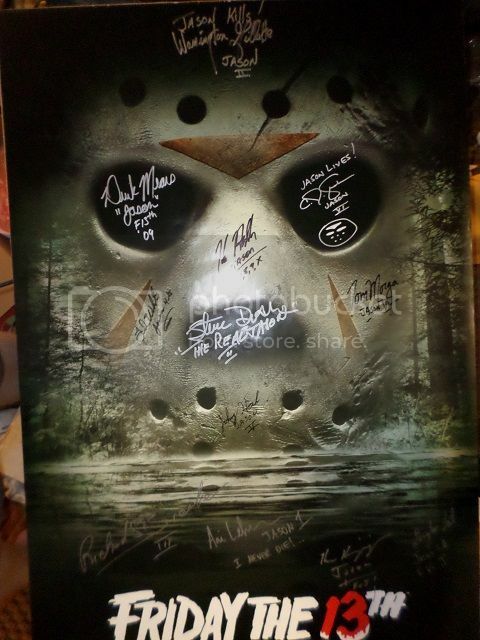 The newest addition to my F13 collection is probably the most special to me, since I made it myself from scratch. It's a scale model (approx 1:24) of the barn from Friday the 13th Part 3, which is my favorite film in the franchise. Took about six months to finish, but I think it turned out pretty good. 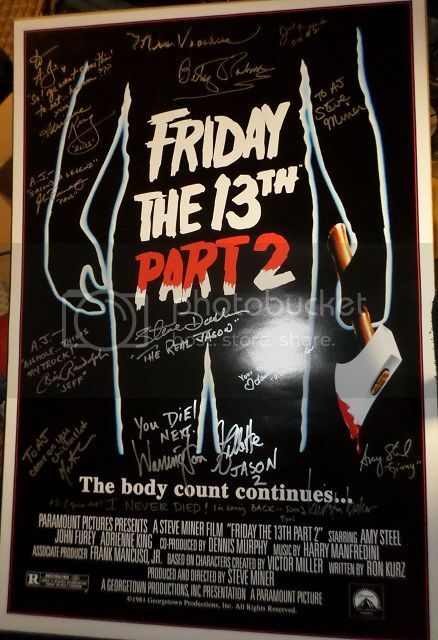 At some point (and I've been saying this for years), I want to renovate my basement into a movie room, so this will definitely be a cool addition to that room, whenever I get around to doing it. 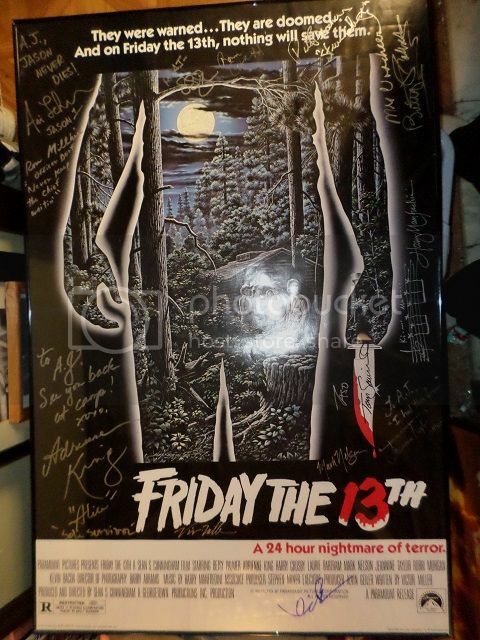 AJLe wrote: The newest addition to my F13 collection is probably the most special to me, since I made it myself from scratch. It's a scale model (approx 1:24) of the barn from Friday the 13th Part 3, which is my favorite film in the franchise. Took about six months to finish, but I think it turned out pretty good. Quite impressive. I couldn't be that artistic to save my life. What did this cost you to make? I didn't keep an exact count, since it was spread out over six months, and I'd constantly buy a little wood here, buy some more stain there, pick up some more glue, etc., but I'd guesstimate that all together it was somewhere between $200 and $500 in total cost of supplies.